Burzum is a band I’ve been a fan of since 1992, and for true black metal music Varg Vikernes is one of the absolute founders of the Norwegian scene, despite many opinions to the contrary. His line of music is one that has seen many changes, both radical and subtle, and all of them have garnered him many fans and criticisms. Some true black metal fans don’t like the progression from Hyis Lyset tar Oss to Filosofem, thinking the more culturally-inspired work not “kult” enough. I suppose, in essence, you either get Burzum or you don’t, and some people cannot adapt to change. 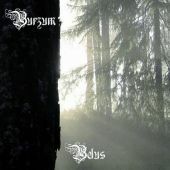 Belus is the first full-length Burzum release in 11-years, and while the elements of black metal are still intertwined within the music, the cultural aspect is richer than ever. Where once you could put on the Aske EP and drive through a snowstorm at night and try hard to imagine yourself on the frozen roads of a Norwegian hillside, this album digs deeper into the roots of Vikernes’ Norwegian heritage. Originally titled “White God,” the album centers around the mythology of Belus, the deity of light, and while all of the lyrics are in Vikernes’ native tongue, the music surely transcends the limitations therein. As opposed to a typical fanboy espousing the merits and wonders of Burzum, I’d rather cast a very neutral light on what I’m hearing in this CD after one initial listen. I’d say the CD might resonate longer after a second or third hearing, but it is certainly interesting. 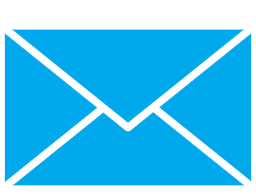 I’ve managed to stay away from most of the initial banter abound on the ‘net about the album, but one or two blurbs I did catch noted disappointment at it not being another Det som Engang Var, which is inherently silly. Vikernes was still a kid when those albums were made, and while those albums are still viable and very good, he is a man nearing 40 and is more concerned these days with his Scandinavian topics as opposed to the satanic. As for the actual vocals on this CD, I must say they are a pleasant surprise. The vocals of his earlier releases were more in tune with someone stepping on tacks and attempting to sing. I can muster through them, but they are a tough go for me some 18-years later. These vocals are a raspy, very “typical” delivery, but a step in the right direction. I’m sure many people might also feel that the change to the typical vocalization of most black metal bands is conforming rather than separating from the masses, but the music and vocals are a nice partnership. Vikernes managed all of the instruments on this release as he has with all of the others (save for Samoth’s contribution on the Aske EP), and he is a firm believer in the “if it ain’t broke, don’t fix it” adage. Overall, I think he’s more than competent in the musician area, without question. The Belus music is good metal music, but far from perfect or original. It’s a very nice compliment to the Burzum mythos, albeit a rather obvious one. I can listen to this CD again and enjoy it, possibly more than the first go-round, but if you’re anticipating a follow-up to 1993 you might well be disappointed. Fans of Filosofem and Hliðskjálf will really enjoy this release. Fans of the atmospheric metal will also certainly get into this. While not too far from the black metal beginnings, the Belus offering is a audible trip to one man’s tribute to the light.